10. Make three folds at the obi. First, hold the center of the obi, and fold it in half. Second, fold each part in half again. The folded line of the obi looked from the side should seem like a line of a bow. 11. 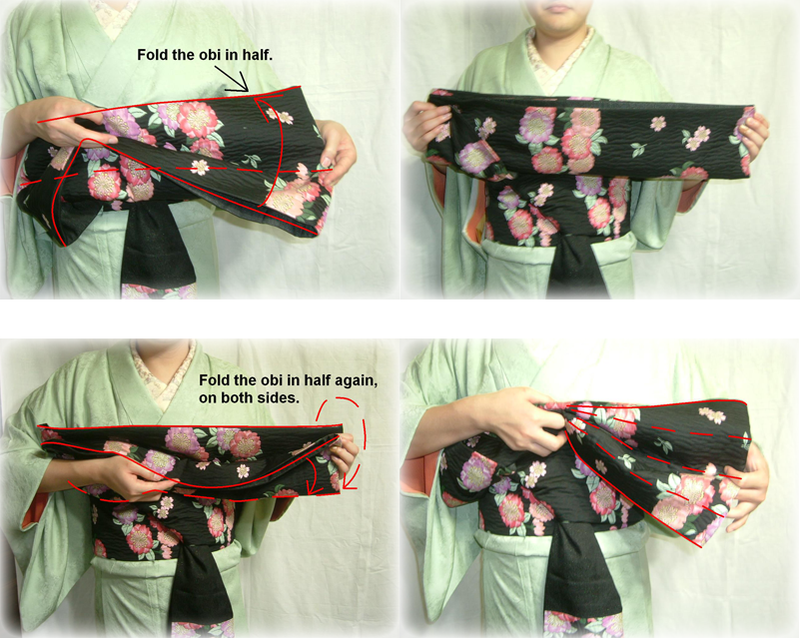 Hold the folded obi with your left hand without change. 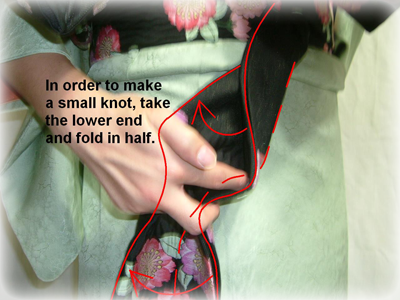 Take the other, lower end of the obi by your right hand, and fold it in half. 12. Bring up the lower end of the obi. Wrap it around both the center of the folded obi and the knot tied before. 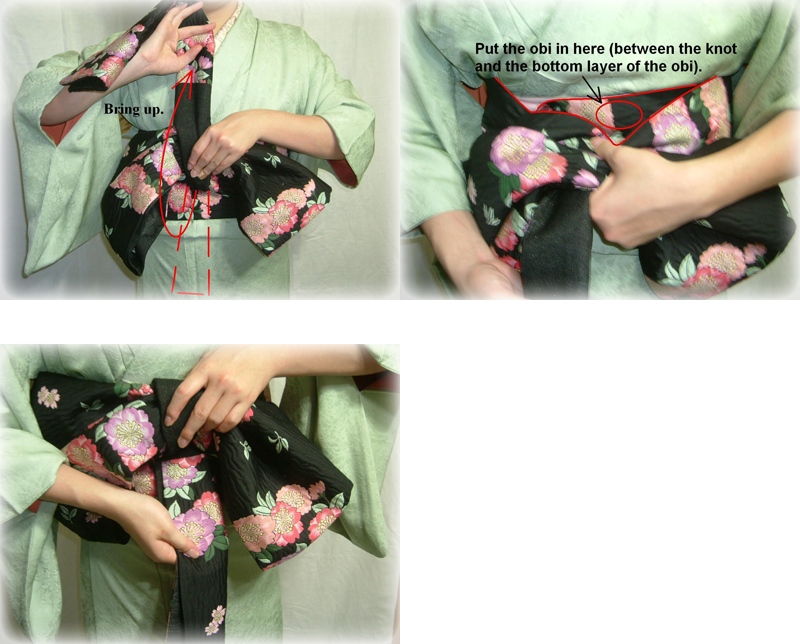 Make sure to put the lower end of the obi into the space between the knot tied before and the bottom layer of the obi. Tied it firmly.